Emeralds Nubar two way Nail Art Pen. As with all Nubar products this is certified cruelty and vegan free. Engaged in supply of nail pens. 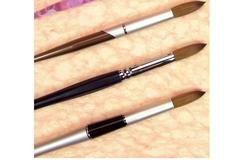 Nail art items-nail art pen.